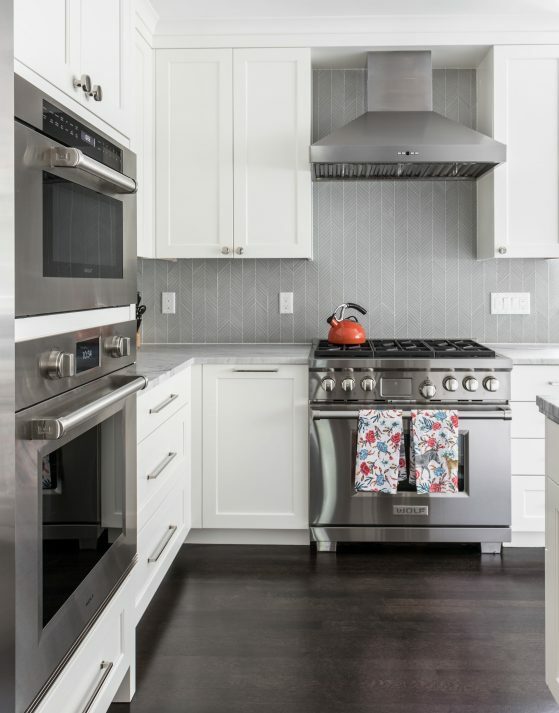 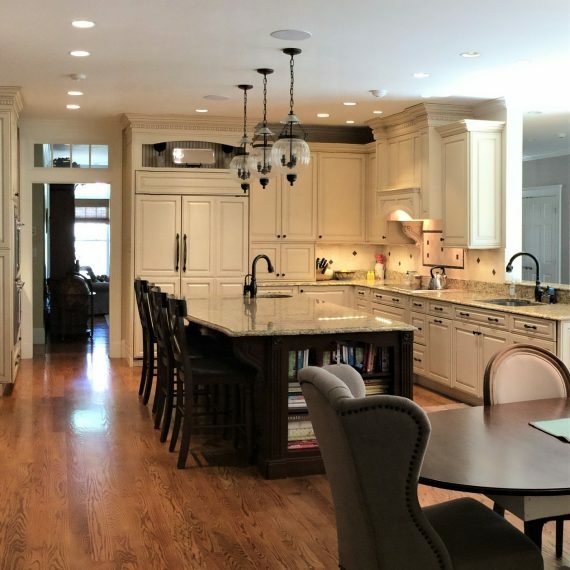 This bright, spacious kitchen in Winchester was designed to accommodate entertaining and the daily needs of a busy family. 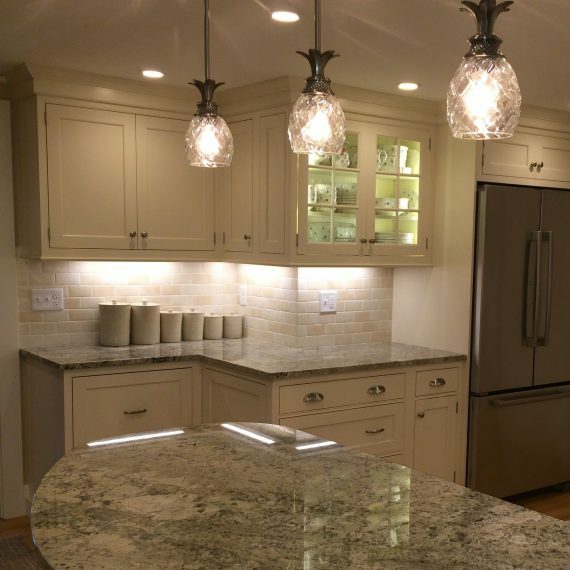 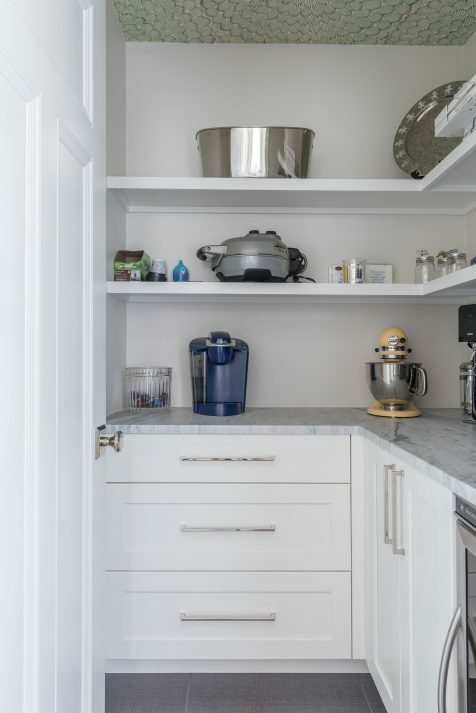 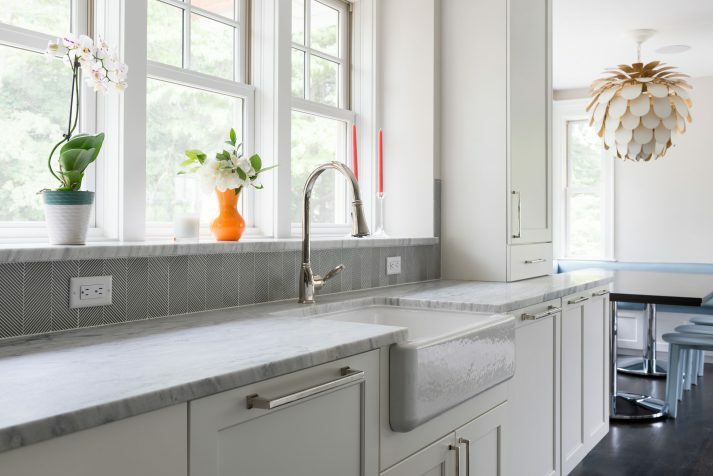 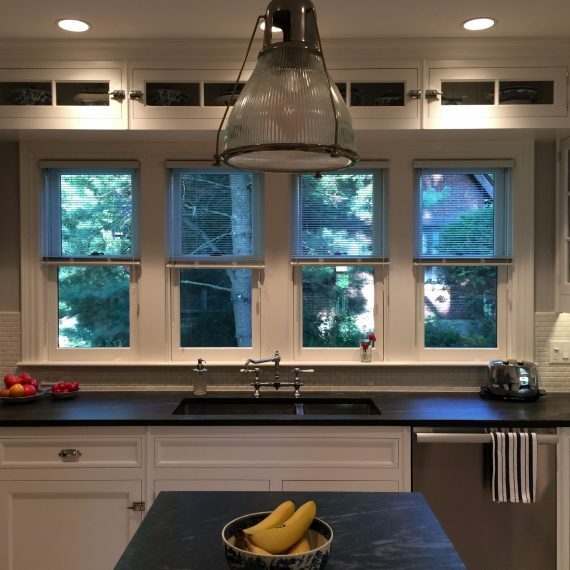 The existing kitchen was bumped out in two directions, making room for a large island with a Quartzite natural stone countertop, professional-grade appliances, a butler’s pantry, an adjacent seating area, and a mudroom featuring creative storage and a charming window seat. 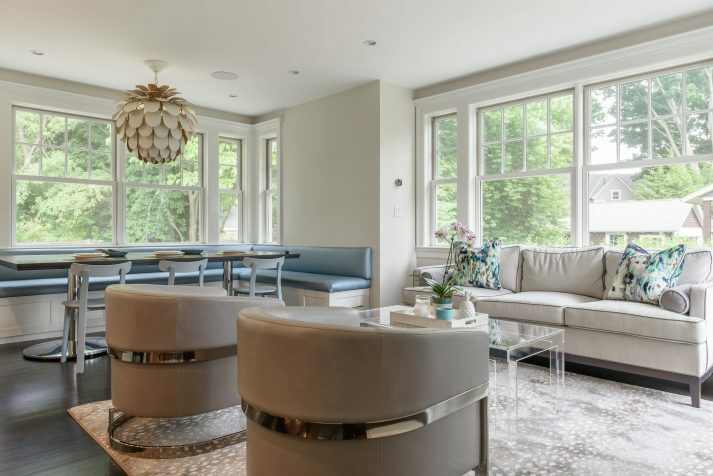 A custom designed table and banquette provide ample seating and additional storage. 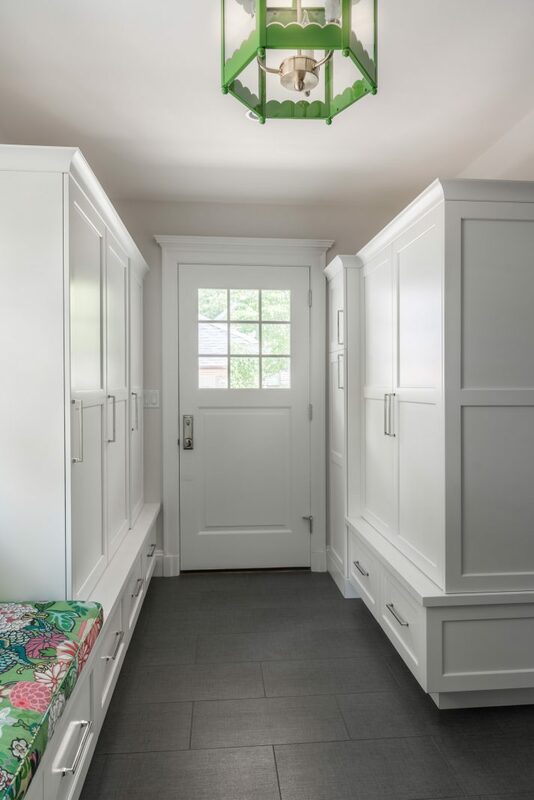 Rift and quarter sawn oak floors over radiant heat will stand up to the demands of this space. 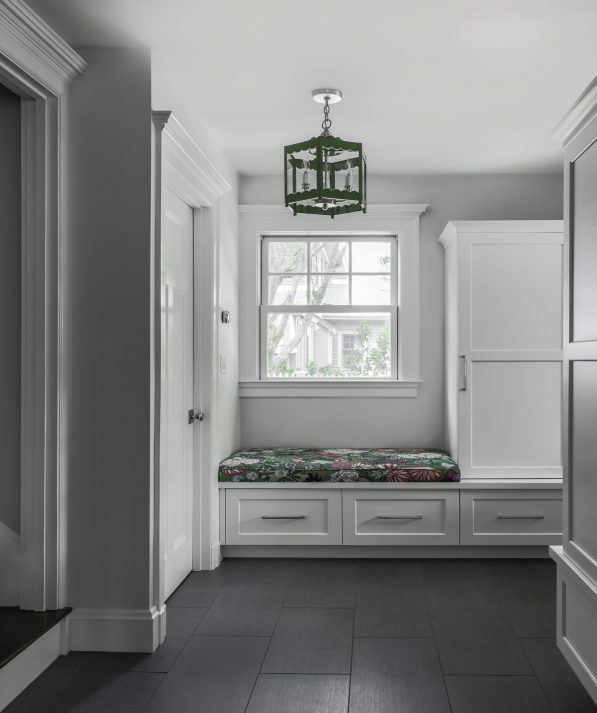 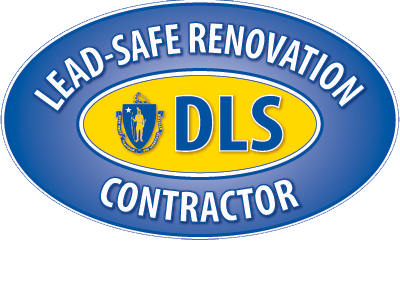 The project involved extensive tilework and finish carpentry, all done with Millwork, Inc.’s attention to detail and high standards.